I am thrilled to be working with the friend of a long time friend and client Mary Fontes of A Spiritual Garden. 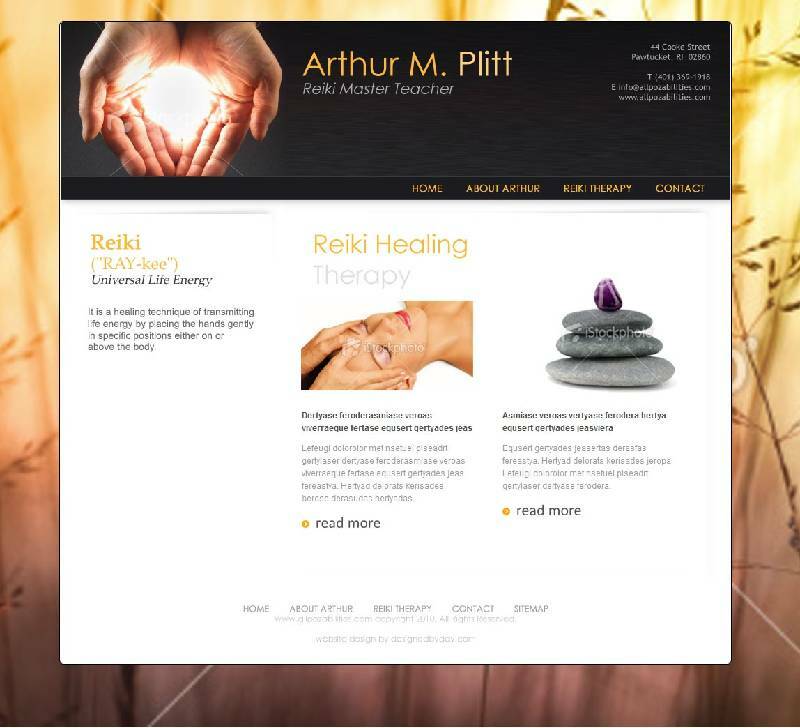 Arthur Plitt, a former student of Mary's Reiki Training is taking his knowledge and spiritual guidance to the web. Designed By Day will be designing and developing a fresh new website for Arthur in order to increase exposure in his community of Pawtucket, RI. Arthur is a Reiki Master. Reiki healing is a means of laying hands on or above a patient and transferring healing spiritual energy to that patient. Check back soon for links to Arthur's new website!